The special CBI court in Ranchi will pronounce its verdict later today in the fodder scam case in which Yadav, a former Bihar chief minister and Union minister, is an accused. 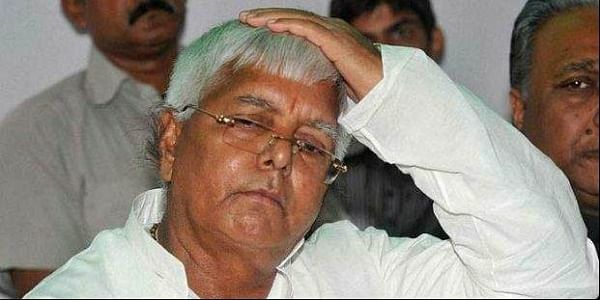 NEW DELHI: Union Minister Ram Vilas Paswan today slammed RJD chief Lalu Prasad Yadav for talking to media about his "innocence" in the Fodder scam even as a CBI court was due to deliver its judgement in the case. "Whether he is acquitted or convicted, is for the court to decide. We do comment on it, but he is lecturing on the TV since morning even though the judgement is yet to be delivered," Paswan told reporters here. Paswan, the chief of the Lok Janshakti Party (LJP), an NDA ally, also hit out at Yadav alleging his involvement in corruption as Union Railway minister. "He used to be a big-shot in the Railways but what did he do there? He just made (money)," the Minister of Consumer Affairs, Food and Public Distribution alleged. Paswan, 71, congratulated Prime Minister Narendra Modi and BJP chief Amit Shah for the party's "crucial" victory in the just-held Gujarat and Himachal Pradesh assembly elections and predicted the NDA's win in the 2019 Lok Sabha polls. "There will be no Opposition in 2019 because they have no issues. What will (Congress president) Rahul Gandhi tell about his party's achievements in 2019," he asked. Paswan also claimed that unity among all Opposition parties for the 2019 elections was an "impossibility", saying they cannot come together "even in seven lives". "The Congress protests alone in Parliament and no other party from the Opposition joins them. Those who cannot unite in Parliament, cannot do so outside it," he added. Talking about his party, Paswan said the national executive of the LJP will be held in Delhi on March 11 next year. He said the LJP has been able to increase its membership to 50 lakh, and aims to have one crore members.